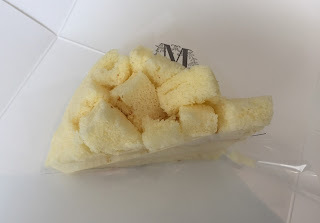 When we went to Lady M in Upper East, we saw some seasonal cakes and one of them, Mimosa looked interesting but it's sold out; in the morning, a customer came in and asked, "How many Mimosa left? I'll take all of it," according to a staff. 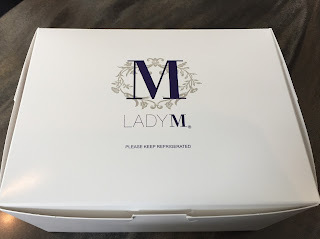 We're curious how good it was and really wanted to try it, so next day, we went to Lady M in Rockefeller Center. 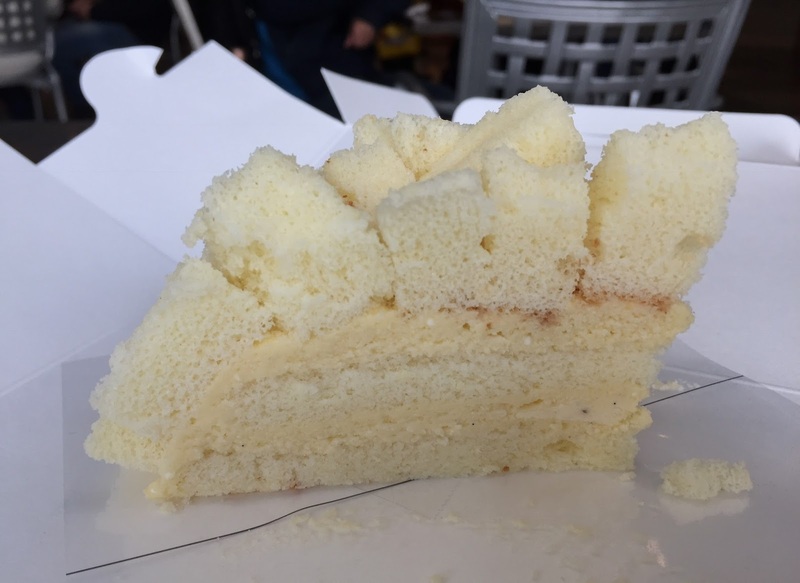 It's already in the afternoon but we could buy a slice luckily. 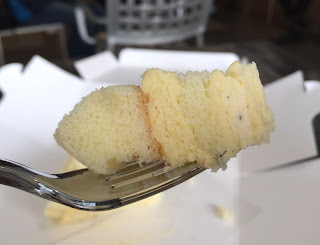 The bottom of the film around the cake was taped so that the cake won't slide and I appreciated how carefully they packed it. 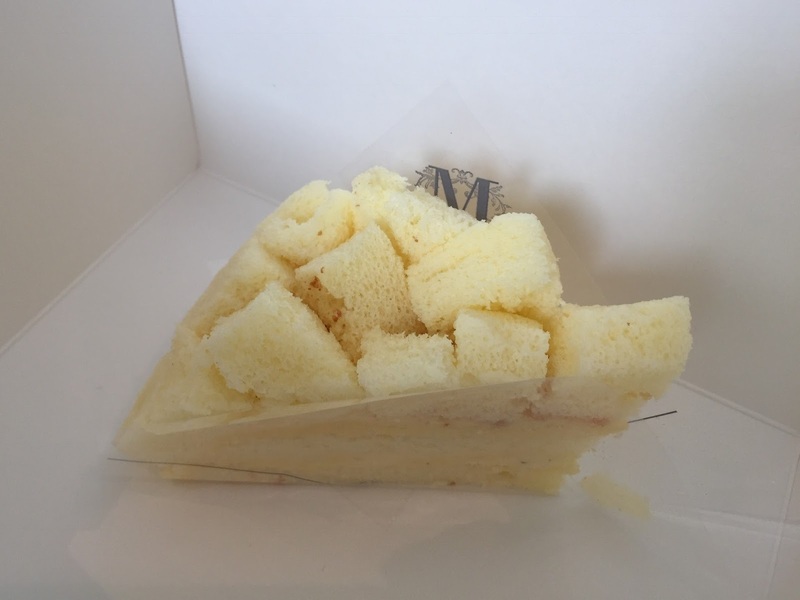 Cube cakes were on the top of the cake. 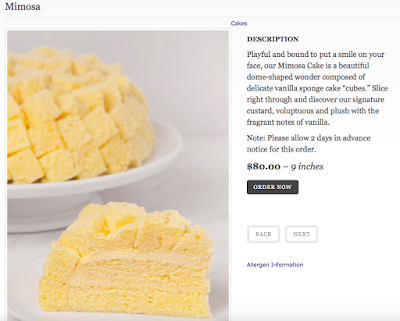 "Playful and bound to put a smile on your face, our Mimosa Cake is a beautiful dome-shaped wonder composed of delicate vanilla sponge cake “cubes.” Slice right through and discover our signature custard, voluptuous and plush with the fragrant notes of vanilla." When I read the name, I thought it'd have orange and champagne flavor but neither of them is used. The sponge cake was paler than what shown in the HP and cream color, and there're many cubes on the surface and also at the bottom. From the bottom, sponge cake, custard, sponge cake, custard and cubed sponge cakes. 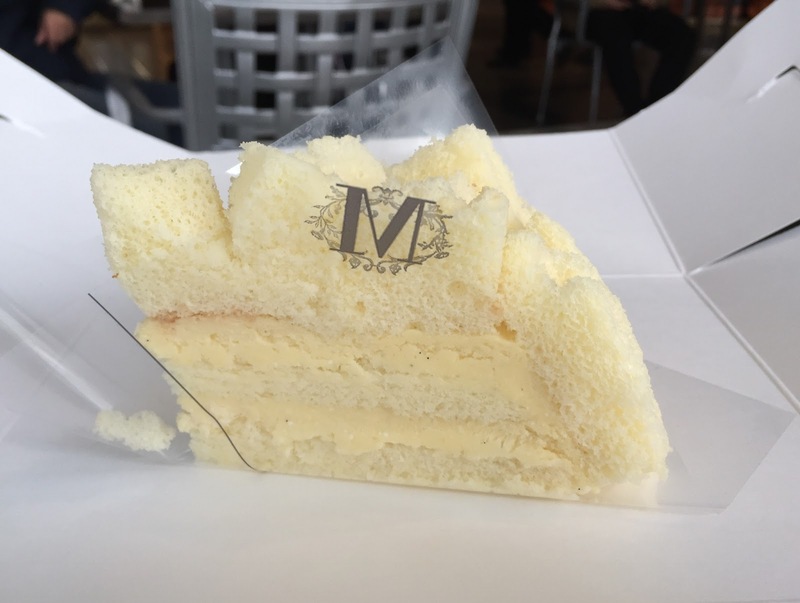 The sponge cakes were incredibly soft, bouncy, and moist, and the custard had fragrant and rich vanilla flavor. It's lighter than cream covered cakes but as flavorful and enjoyable as them, and I really wish this cake was available permanently. Other reviews of Lady M.